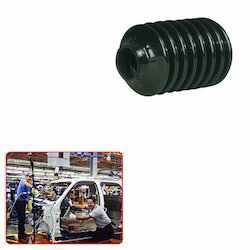 We are the Manufacturer & Exporter of Dip Molded Component for Automobile Industry. Our product range also comprises of PVC Grommets, PVC Bellows and PVC Dip Molded Components. We are renowned as the most popular enterprises in this industry, offering a high quality Dip Molded Component for Automobile Industry. Reckoned for their excellent finish, longer life, durability and reliability, our offered molded components are manufactured with high grade raw material and modern technologies. backed by rich industry experience we are manufacturing and supplying a wide range of dip molded component for automobile industry to our revered clients, these products are manufactured using by high grade of raw material and available at market leading price. Looking for Dip Molded Component for Automobile Industry ?